Registered nurses play an integral role in patient care by providing safe and compassionate care to support the recovery of the patients who are acutely or chronically ill or injured. Outside of the traditional healthcare setting, nurses may be actively engaged in research, education, and non-clinical activities that support the delivery of healthcare. Applying for enrollment in an associate’s degree in nursing or a bachelor’s degree in nursing program is the first step to becoming a registered nurse. Entrance requirements vary but may require that you pass a standardized exam, possess a high school diploma or equivalent, and be free from criminal convictions. After you graduate, you must pass the NCLEX for registered nurses and receive approval from the Illinois Center for Nursing to practice within the state. The salary for registered nurses varies across the state, but in large metropolitan areas like Chicago, a new graduate may earn $58,500 or more. There’s an urgent need for compassionate, trained health care professions in the state’s hospitals and other medical institutions. Nursing graduates have the opportunity to explore difference aspects of nursing depending on their place of employment. But an exciting and rewarding career in nursing starts with a sound education. With 44 educational institutes and counting offering the associate’s degree in nursing, Illinois residents can take their pick of colleges and technical schools offering the entry-level degree for taking the NCLEX-RN licensure exam. 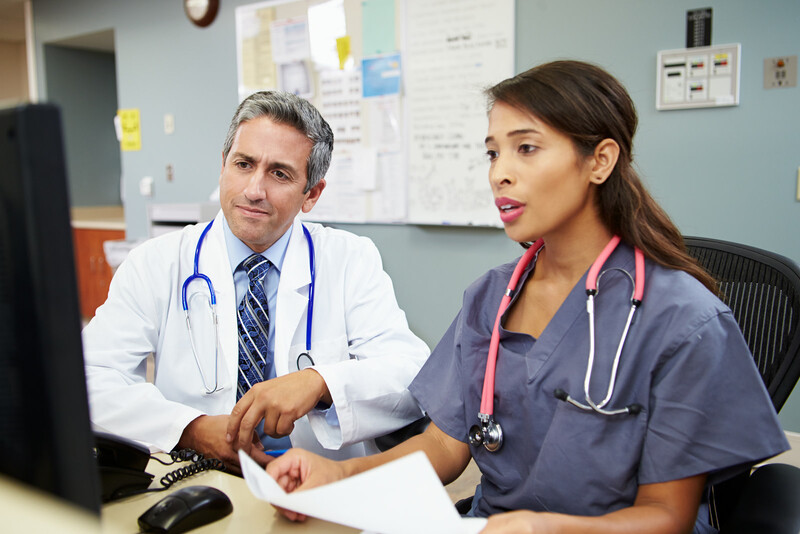 State approved programs ensure students develop the competencies and acquire the knowledge to provide evidence-based care to various populations and work effectively with health care teams in numerous settings. For graduates to exceed the expectations of a prospective employer, the program will cover medical terminology, health assessment, anatomy and physiology, pathophysiology, foundations of pharmacology, and microbiology. Core nursing courses will include family health concepts, health and illness concepts, the role of the nurse, clinical decision making, and medical surgical nursing. The curriculum will include practical experiences, such as time in the laboratory and simulation lab, as well as patient care experiences in health care organizations in the neighboring community. Each program will cover several hundred contact hours of patient care in a clinical setting. The total contact hours will depend on the education provider but will be in accordance with the state’s requirements. At the conclusion of the program, graduates will have a compassionate and holistic approach to patient care, which will let them manage patients’ physical symptoms and also tend to their emotional and mental needs. They will be recognized as expert practitioners and innovative leaders in the complex healthcare system. To select one of the 44 Board-approved programs, you should compare the learning outcomes of each program under consideration. The ideal school should not only be cost-effective but also foster an environment where teamwork and independence go hand in hand and build your clinical competency and knowledge base so you can become a valuable member of any health care team. Entry requirements for admission into an associate’s degree program in Illinois run from the very simple to complex. Some schools make it an easy task for students to enroll with no prerequisite courses and waiting lists. Others require applicants to complete an admissions exam, prerequisite course requirements, and have some background experience in health care. Here’s a snapshot of the entry requirements for the Associate Degree in Nursing Program at the College of DuPage that should give you an idea of what it takes to begin your nursing education. An application for general admissions submitted online. Official transcripts of all prior education. Attend a mandatory ADN advising session. Complete an application to the Health Sciences/ Nursing Department. Complete the academic coursework before the admission deadline. This may include chemistry, anatomy and physiology, psychology, math, and a basic nursing assistant training program. Pass the Admission Assessment HESI (A2) exam. Once accepted, students must obtain medical care and health insurance and maintain them throughout the program. A criminal background check, physical exam, immunization, TB test, and drug test are also required for participating in the clinical component of the program. Cost may be your major concern when making an education decision. The cost of an education in nursing goes beyond tuition as you’ll have to also consider expenses for books, nursing supplies, background check, health requirements, admission requirements, fees, and transport to the clinical sites. At an average cost of $375 per credit hour for in-state tuition, you can expect to pay $24,375 for two years plus extra for prerequisite courses, fees, books, and supplies. Look for schools that offer a flat rate for full-time attendance (12 to 19 credits) and take more classes per semester to cut costs. Apply for financial aid early by filing the Free Application for Federal Student Aid (FAFSA) as soon as possible. Search for scholarship opportunities internally and externally where available. The State of Illinois sponsors a Nursing Education Scholarship Program for individuals pursuing an associate degree in nursing. Contact the IDFPR for more information about the award. Private funding may be available from the Illinois Nurses Foundation, Nurses for a Healthier Tomorrow, American Association of Colleges of Nursing, Nurse Educational Funds, and the Robert Wood Johnson Foundation. All applicants for initial licensure as a registered nurse in the State of Illinois must submit to a criminal background check and provide evidence of fingerprint processing. Practice as a registered nurse in Illinois is prohibited until you have completed and passed the NCLEX-RN licensure exam and receive official notice of registration from IDFPR/CTS. The Illinois Nurse Practice Act permits a license-pending registered nurse to practice under the direct supervision of licensed personnel for up to three months after successfully passing the licensure exam. To practice under this provision, you must have your official formal pass letter and practice under the supervision of another registered nurse or advanced practice nurse. Your application for licensure by examination will be processed by Continental Testing Services Inc. The application fee in the form of a certified check, money order, or personal check made out to Continental Testing Services, Inc. The Supporting Document CCA – outlining and charges for criminal acts. Fingerprints for criminal background check. Apply for the fingerprints within 60 days of submitting the application for the exam. A list of licensed fingerprint vendors is available on the IDFPR’s website. The vendor will submit the fingerprints to the Illinois State Police to conduct the background check. The ISP will transmit the background check report to the Department once it is available. The ED-NUR form (Certificate of Education) signed by the Director of the nursing program and affixed with the school seal. Official transcripts will be accepted as an alternative to the ED-NUR form. Your signature on the Certifying Statement. The registration for the NCLEX-RN submitted to Pearson Vue. Your application will remain on file for three years from the date the Department or Continental Testing Service, Inc. receives it. If you do not complete the application within three years, your application will be denied and the fee forfeited. The application fee is non-refundable. The application for the licensure exam. A credentials evaluation report of your nursing education. The must be generated by the Commission on Graduates of Foreign Nursing Schools (CGFNS) Credentials Evaluation Service (CES) or the Educational Records Evaluation Service (ERES). Certification of passage of the TOEFL or IELTS if English is not your first language. A VisaScreen Program Certificate and CT Form or a CGFNS Certificate will be accepted in lieu of the above educational requirements. NCLEX-RN Registration: Register with Pearson Vue online or by phone (1 866-496-2539) to complete the application for the licensure exam. You must have a credit card on hand to pay the $200 fee to complete the registration. Continental Testing Services, Inc will either deny or grant permission for you to take the exam depending on the status of your licensure application. Make sure you use the same name on both applications and include your social security number to simplify the process. If CTS approves your request, Pearson Vue will issue an Authorization to Test that you’ll use to schedule a test date. The ATT will be delivered by email or postal mail and will contain important information about scheduling the exam. The ATT expires 90 days from the date of issue. Complete the application for licensure by endorsement if you graduated from an accredited nursing education program and obtained licensure by examination in another state or are scheduled to take the exam in another state. Applications for licensure by endorsement must be submitted to the IDFPR – address provided below. The CT-NUR form (verification of licensure) filled out by the licensing body in the state of original licensure. Complete additional forms from the current state of licensure, if different from original state, and all jurisdictions where you practiced within the last five years. Verification of your license may be completed online through Nursys if the state participates. The TP-NUR (temporary permit) form and a photocopy of your current registered nurse license and temporary permit help in another US jurisdiction. The temporary permit costs an additional $25. A temporary permit is valid for six months from the date of issue. It will expire immediately upon issue of a permanent license or denial of licensure from the IDFPR. Registered nursing licenses expire on May 31 of even-numbered years. The Department mails renewal cards approximately three months before the license expiration date. You may complete the form and mail to IDFPR or submit your renewal online. The renewal fee is $40 per year or $80 for each renewal cycle. There will be a convenience fee of $1.50 to $10.00, for processing the credit card, added to the cost of renewing your licensure. You can verify your license online using the License Look-up tab on the Department’s website. Registered nurses must complete 20 hours of approved Continuing Education units for each 2-year license renewal cycle. For your first renewal, you do not need to comply with the CE requirements. For your subsequent renewals, you must earn the CE through verified attendance or participation in an approved program. You do not need to submit documentation of your CE with the renewal application, but you must maintain records of completing the requirements and produce them upon request by the Department. According to the U.S. Department of Labor’s Bureau of Labor Statistics, there are 111,600 registered nurses in Illinois. Like the rest of the nation, the profession constitutes the largest health care occupation. Approximately 3 out of every 5 nursing graduates begin working in hospitals across the state within 12 months of graduating. Although, ADN RNs manage to hold their own in the job market, BSN RNs manage to snag the majority of openings in the hospitals leaving ADNs to compete for positions in nursing homes, patient homes, and long-term care facilities. Even with the preference for BSN RNs, the profession has the second highest number of new jobs among all occupations within the state. Employers offer competitive compensation packages in order to attract the best talent, which is good news for nursing graduates and prospective nurses. In general, the job outlook for registered nurses is good, especially for those with specialized skills. 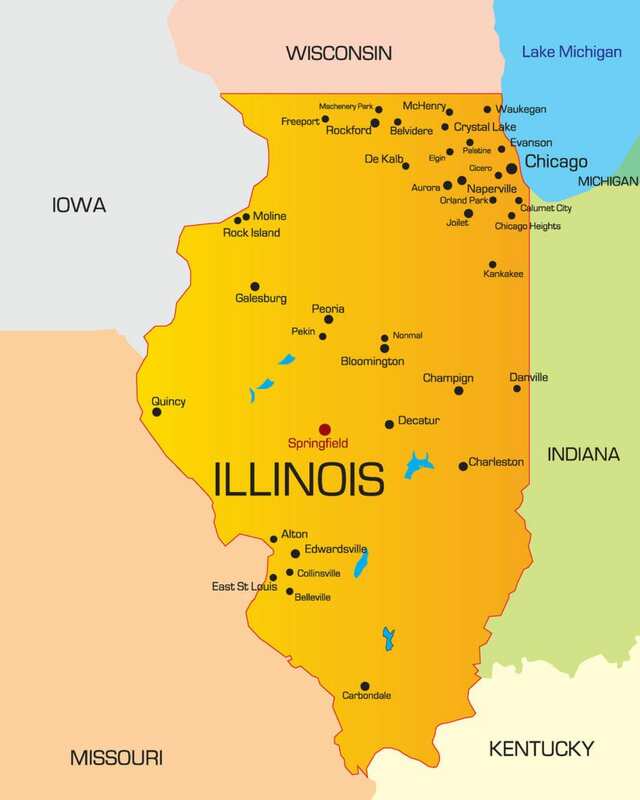 The average reported income for Illinois’ RNs is $68,030.